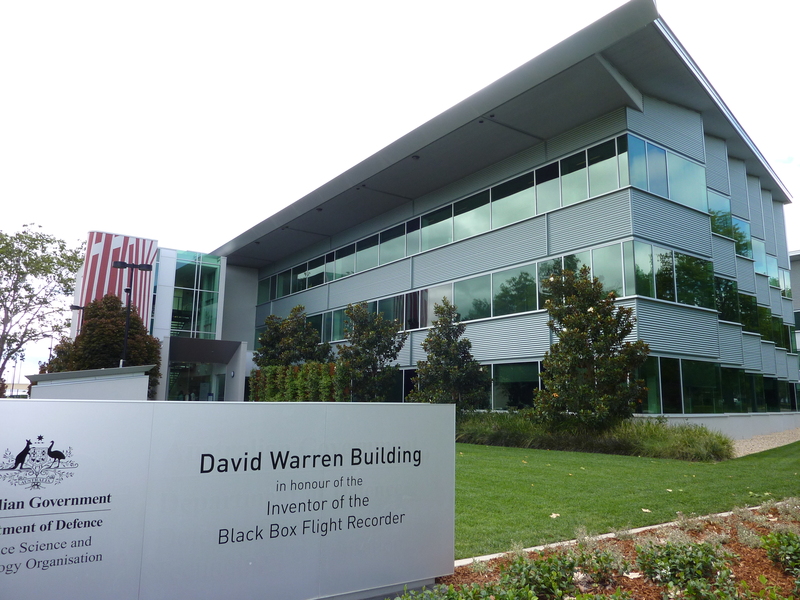 This page lists and provides links to Ken Fraser's local collection of the best quality images he has relating to the ARL black box. The quality of the images varies widely and many of the earlier ones are of poor quality. A description of each image is provided and, where possible, its year of creation is given. 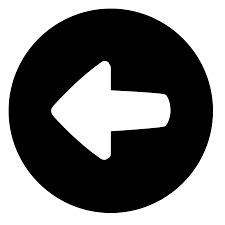 Click icon to return to Black Box main page. 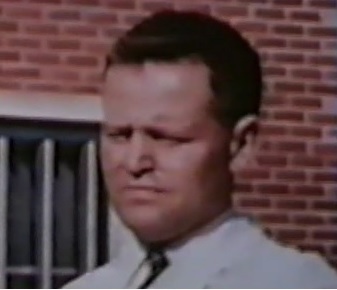 Click here to view image. Right mouse click image for download. 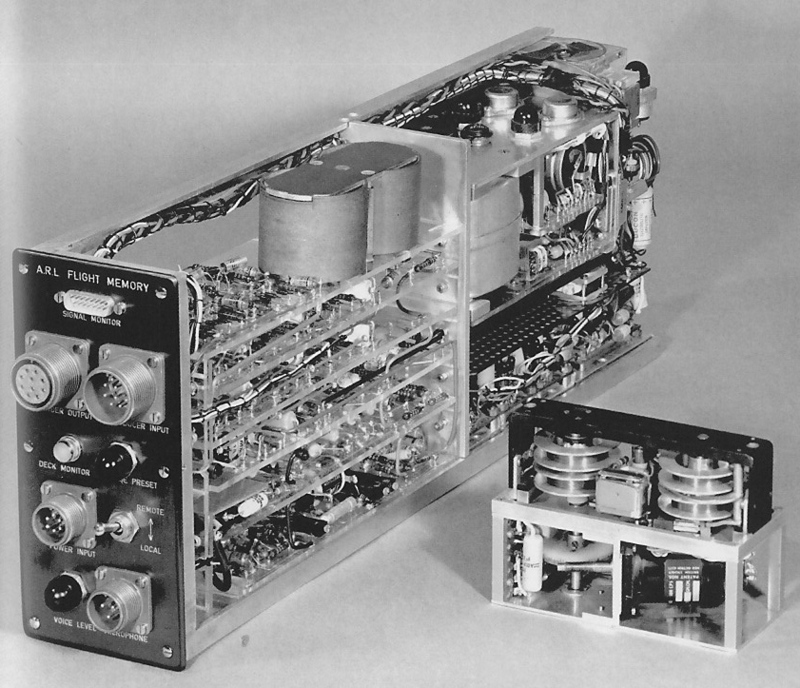 Mk 1 ARL airborne system including small electronics module at bottom. 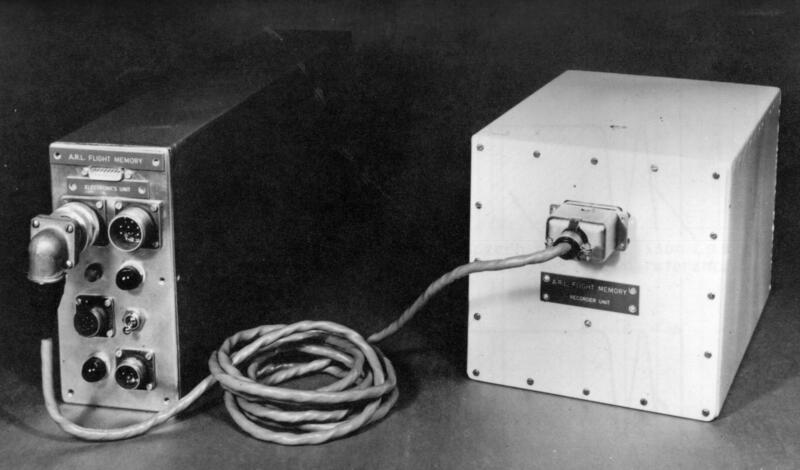 Mk 2 ARL airborne system in boxes: electronics unit left, recorder right. Mk 2 ARL airborne System out of boxes: electronics unit left, recorder right. 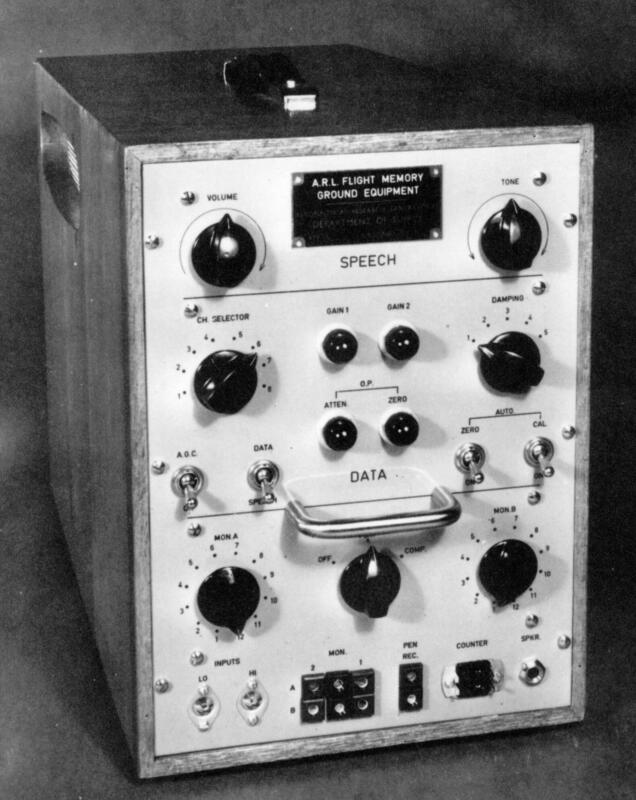 Mk 2 ARL ground station unit. 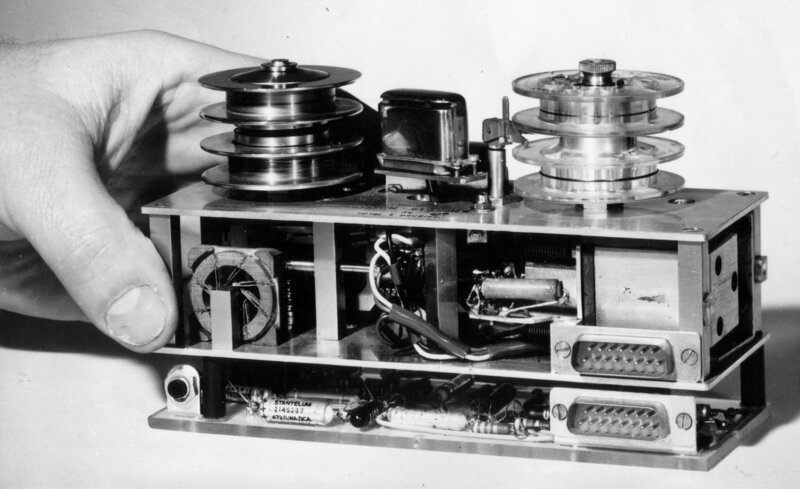 Mk 2 ARL ground station recovery of 23 March 1962 test flight: Oscillogram of total signal on wire and its separation on playback into speech and data components. 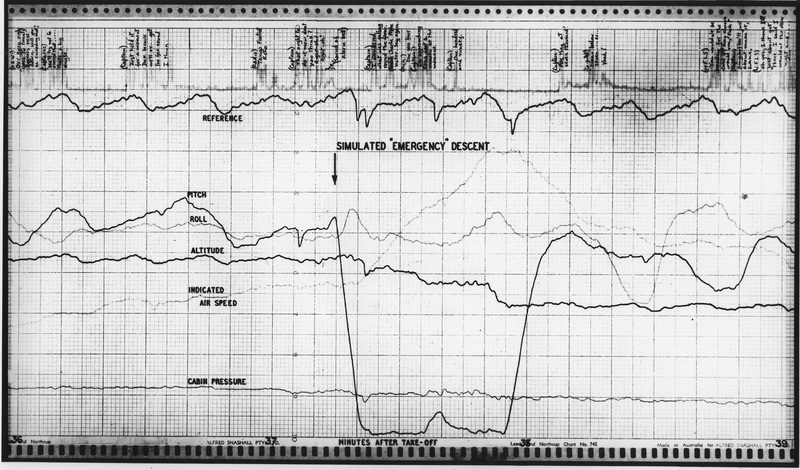 Mk 2 ARL ground station recovery of 23 March 1962 test flight: Flight data plot. Mk 2 ARL Ground Station recovery of 23 March 1962 test flight: Enhanced flight data plot for 60 year laboratory anniversary. 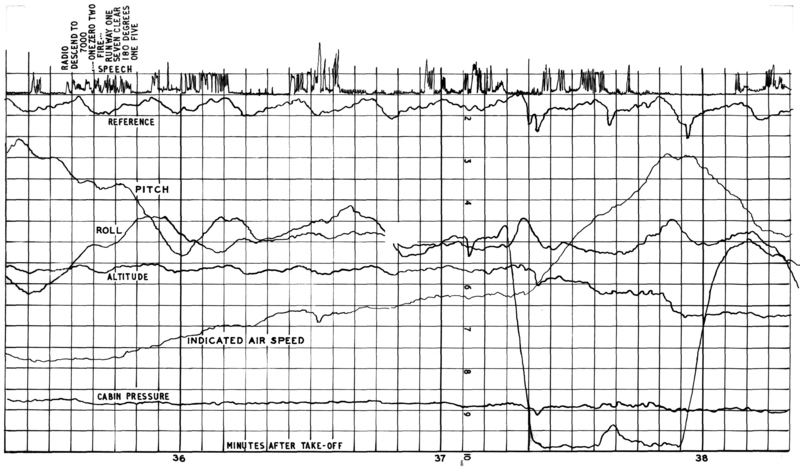 Mk 2 ARL Ground Station recovery of 23 March 1962 test flight: Short section of flight data with audio annotation. Mk 2 ARL Ground Station recovery of 23 March 1962 test flight: Short section of flight data with audio annotation redrawn for 60 year laboratory anniversary. 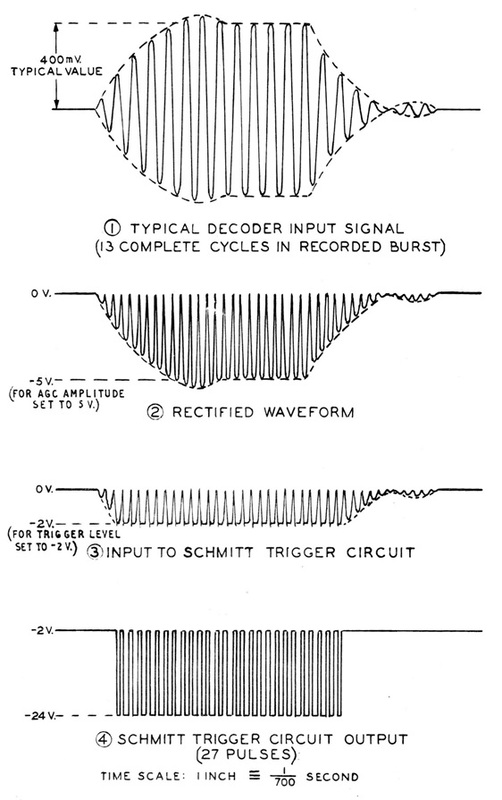 Digital printout of electronic counter output (this was a recording of simulated data to illustrate a proposed extension of the single-channel-at-a-time printout in use with the Ground Station Unit). 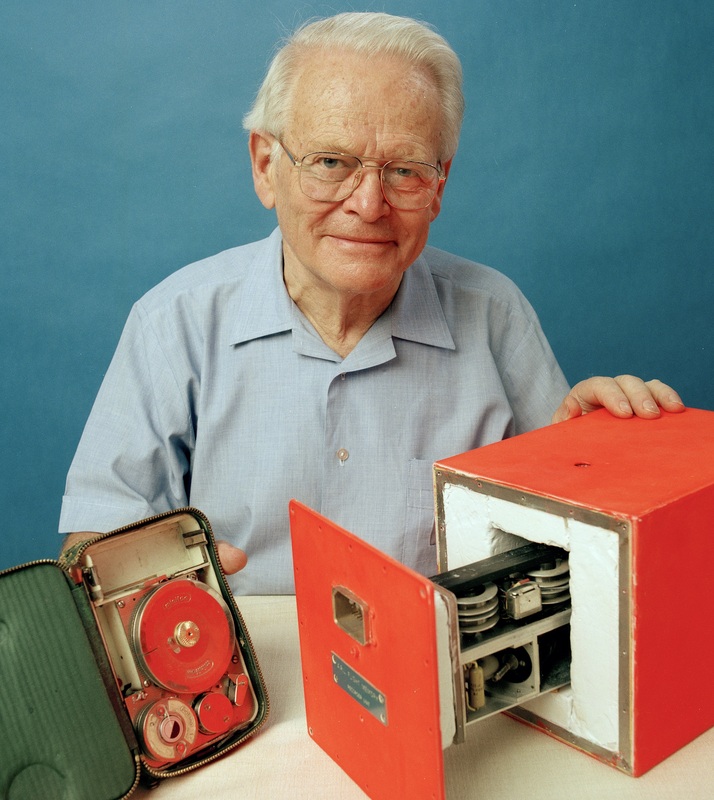 Dave Warren with Minifon recorder (left) and Mk 2 recorder (right). 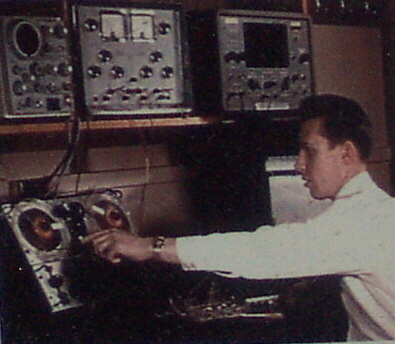 Ken Fraser working on Ground Station recovery in 1962. Mk 2 electronics team. 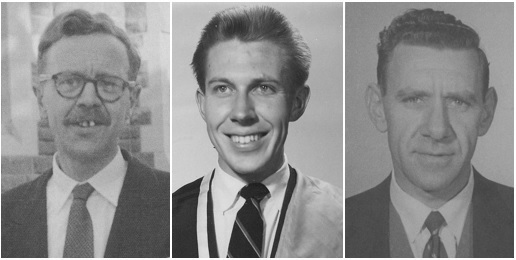 From left Lane Sear (1964), Ken Fraser (1959) and Walter Boswell (1961). 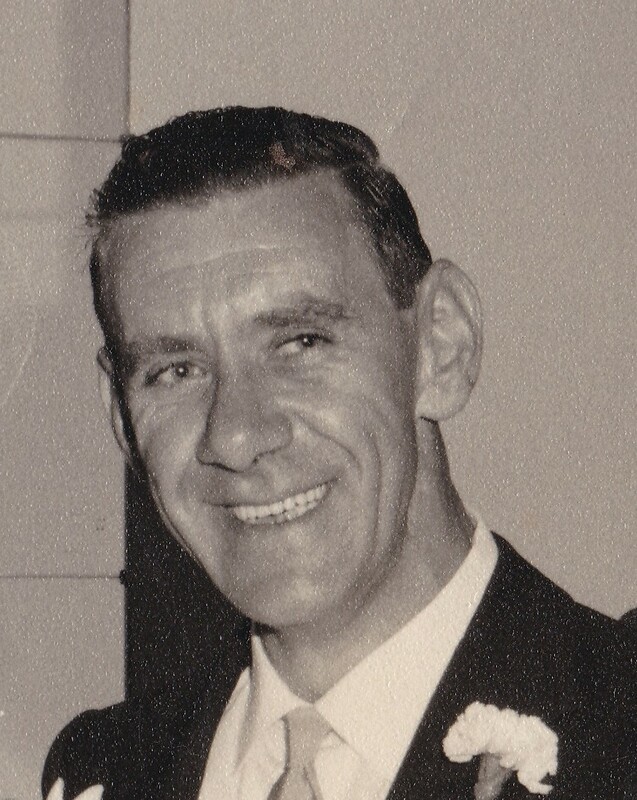 Lane Sear image from Black Box book by Janice Witham. 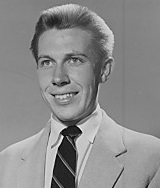 Ken Fraser image February 1959. 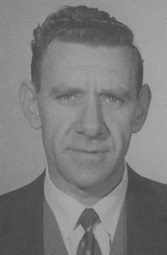 Walter Boswell image-1 February 1961. 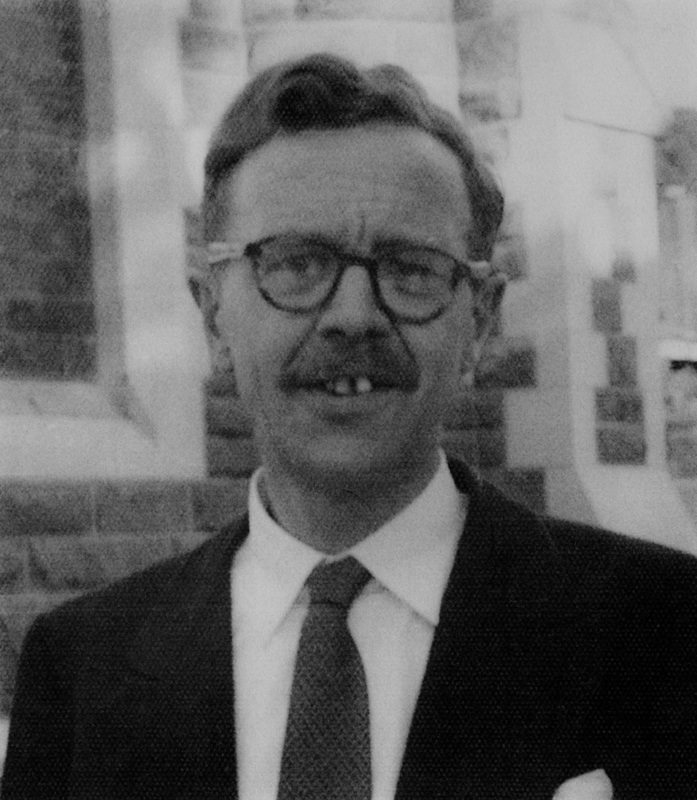 Walter Boswell image-2 February 1961. 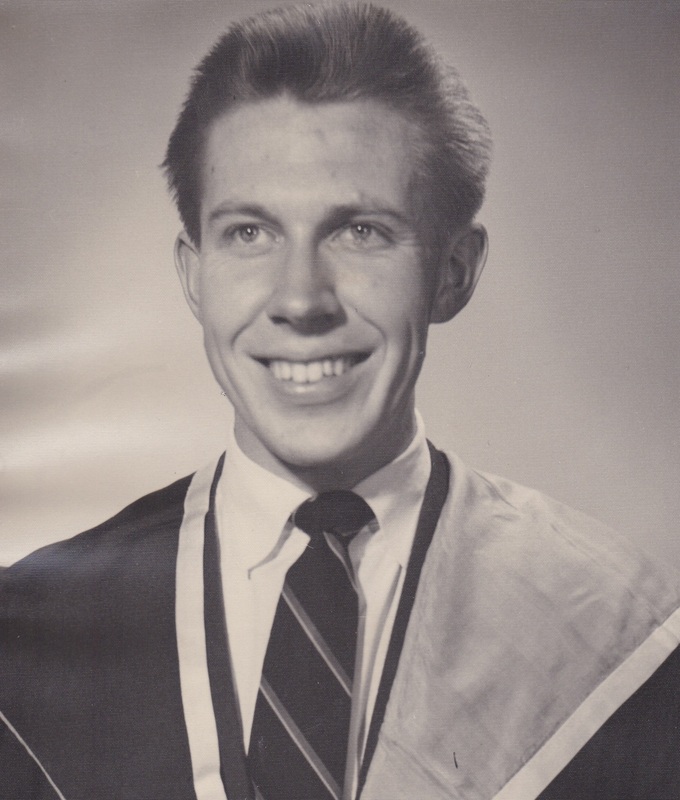 Ken Fraser image about 1970. 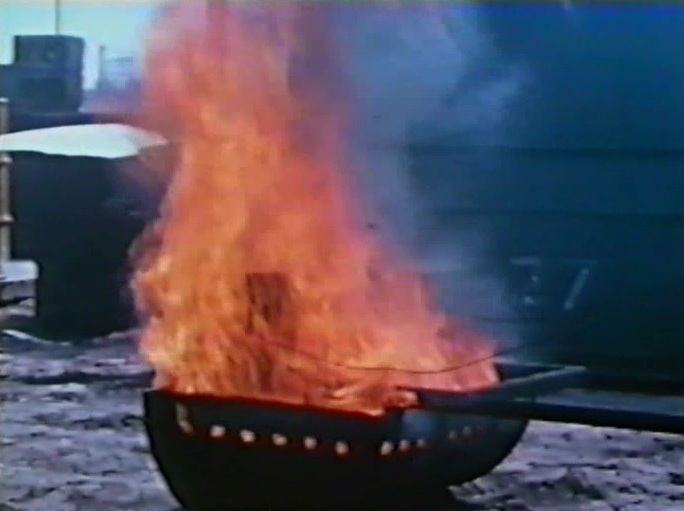 Fire testing the black box recording. 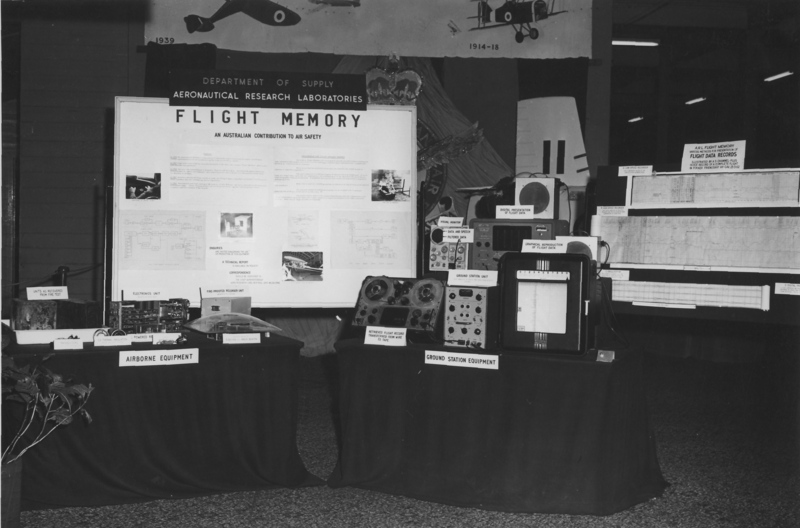 Flight Memory public display at International Trade Fair in Melbourne from 27 February to 16 March 1963. 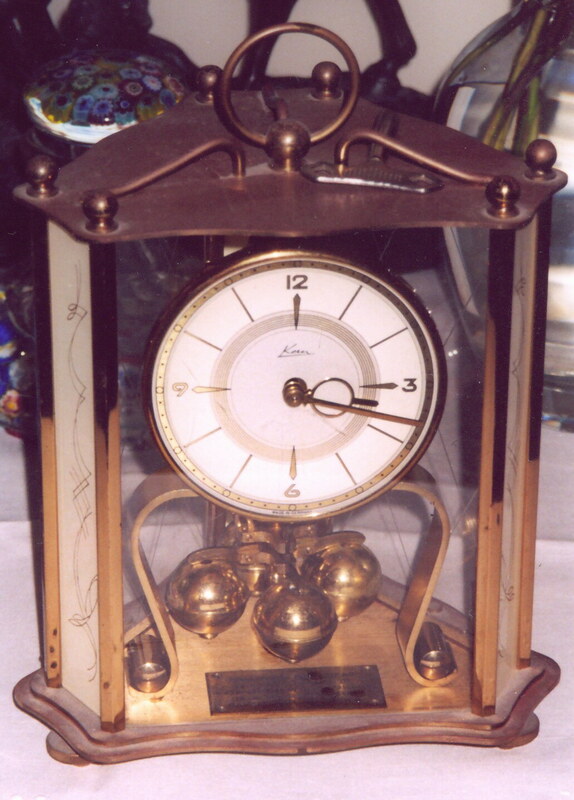 Image of 400-day torsion pendulum clock given by English recorder manufacturer Davall to Warren, Sear and Fraser with individual names on the respective plaques. 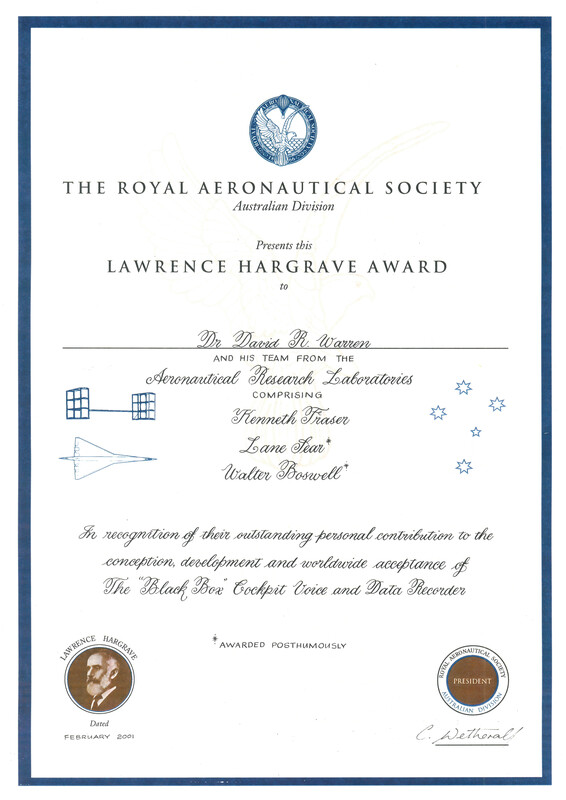 Royal Aeronautical Society Lawrence Hargrave award Feb-2001. 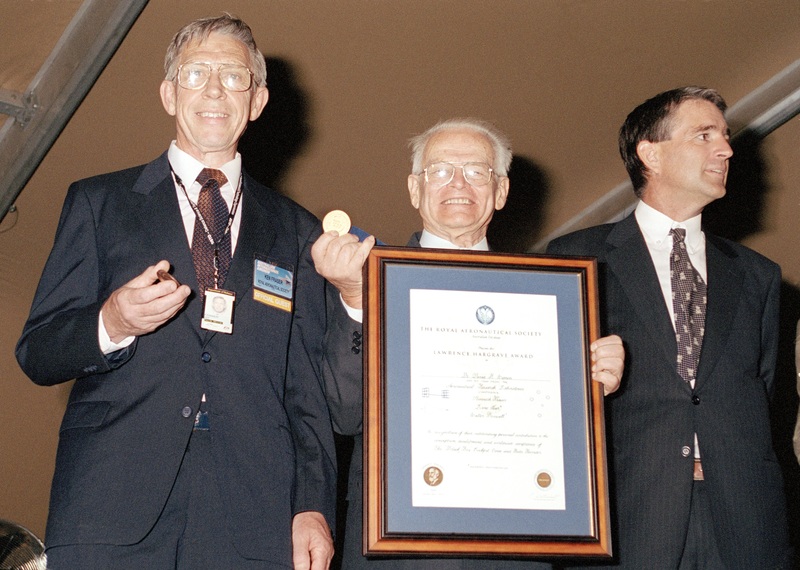 Royal Aeronautical Society Lawrence Hargrave award image showing from left Ken Fraser, David Warren and John Anderson (Deputy PM). 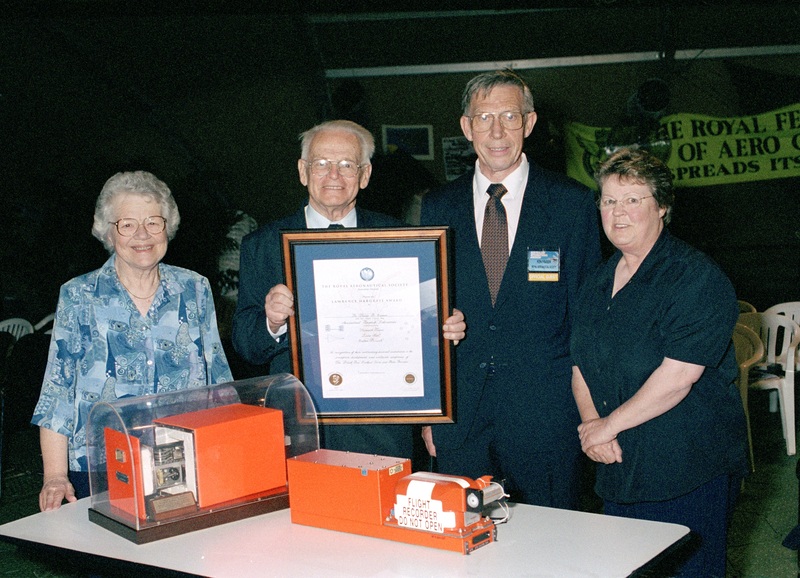 Royal Aeronautical Society Lawrence Hargrave award image: from left Ruth & David Warren, Ken & Sandra Fraser. 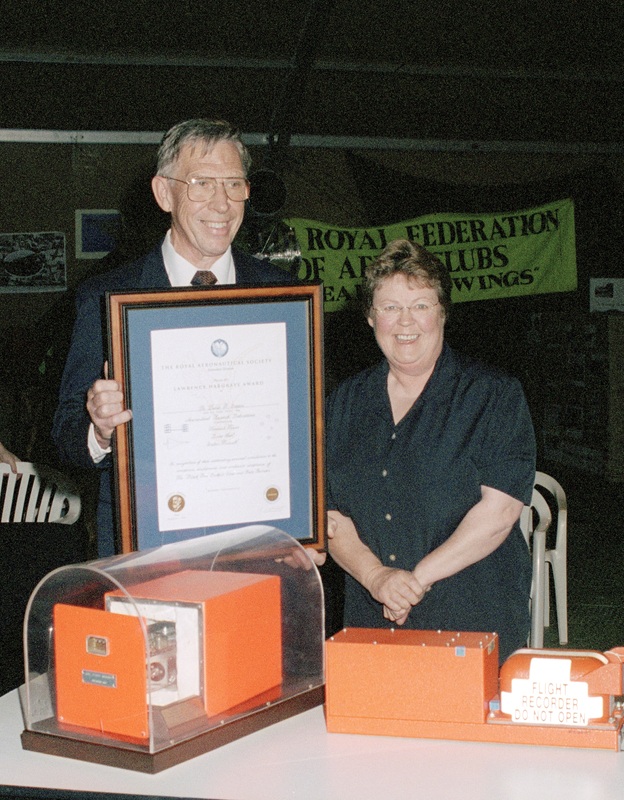 Royal Aeronautical Society Lawrence Hargrave award image: Ken and Sandra Fraser. 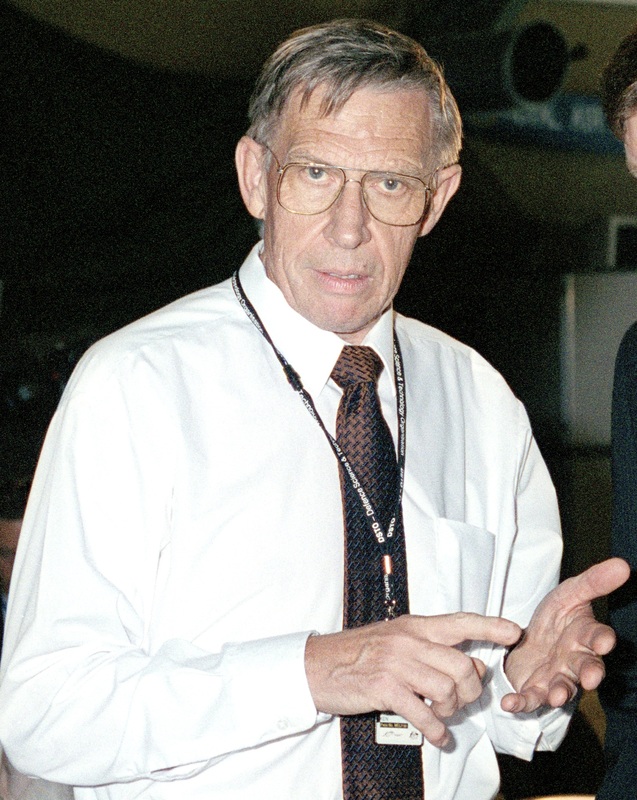 Ken Fraser attending the Royal Aeronautical Society Lawrence Hargrave award. 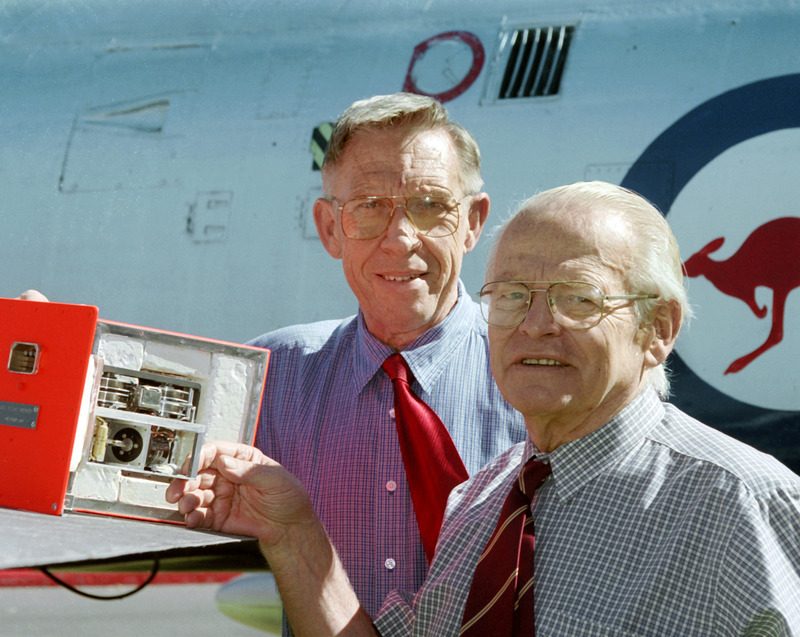 David Warren (left) and Ken Fraser holding Mk 2 recorder at DSTO Melbourne on 8-Jun-2001 (image 1). 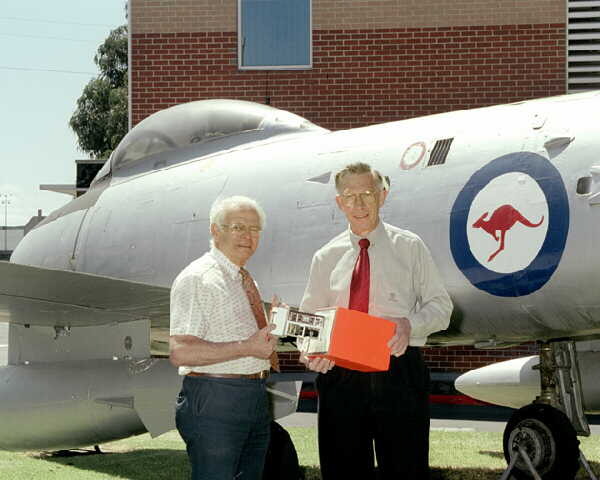 David Warren (left) and Ken Fraser holding Mk 2 recorder at DSTO Melbourne on 8-Jun-2001 (image 2). 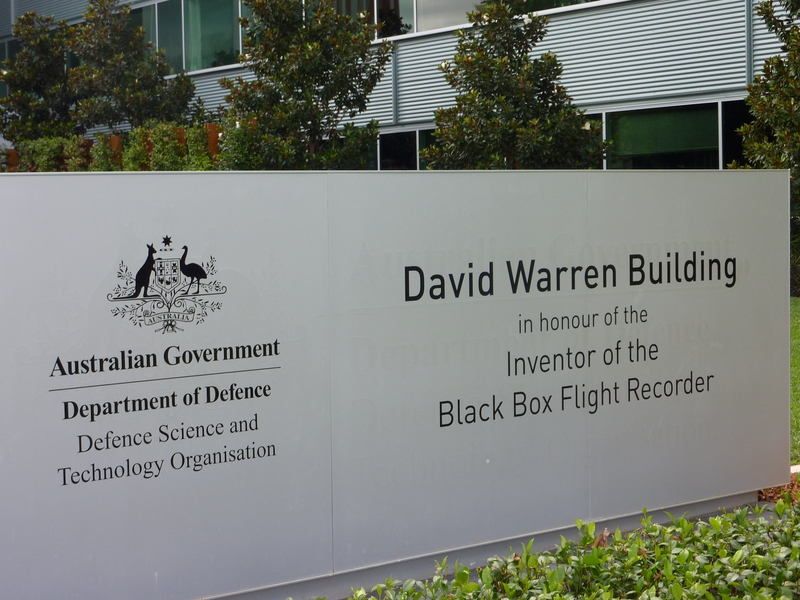 Sign the "Dave Warren Building" for the DSTO Headquarters building in Canberra officially named on 25 March 2014. 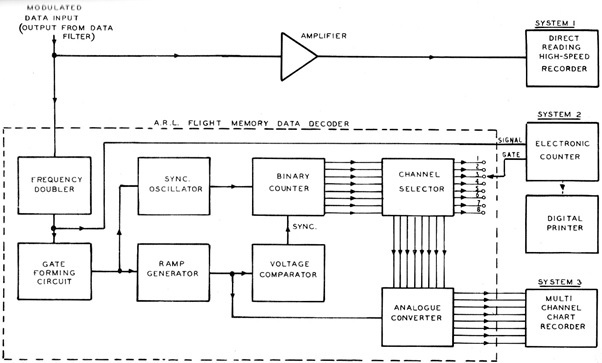 Block schema of ARL Flight Memory Ground Station equipment. Block schema of various systems of flight data decoding used in ARL Flight Memory Ground Station. 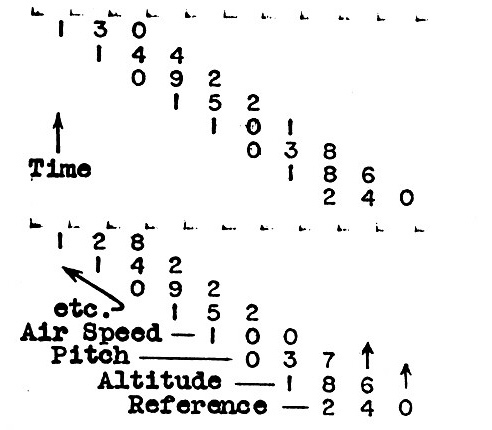 ARL Flight Memory Ground Station waveforms relevant to the generation of output for a digital counter.